Creed Rice Co., Inc., which has been in business since 1973, is an industry leading rice brokerage firm. We have the experience and expertise needed in order to negotiate rice transactions in both the export and domestic markets. Further, we act as consultants, advisers, and arbitrators on behalf of our clients. Creed Rice is an authentic family-run operation, that includes our founder, John Creed, his sons, Mark and Michael, and their sister, Debbie. Mr. Creed has been in the rice business for over 50 years. He is a graduate of Louisiana State University (B.S. Mechanical Engineering 1946) and L.S.U. Law School, 1949 (Juris Doctor, 1968). Mr. Creed moved to Houston (1953) and joined Comet Rice Mills. He served as Vice President, Sales of Blue Ribbon Rice Mill, Inc. for 20 years. He founded Creed Rice Co., Inc. in 1973 and The Creed Rice Market Report in 1985. Mark has worked for Creed Rice Co., Inc. as an international rice broker since 1976. He has a B.S. degree from L.S.U. (1976). He did post graduate studies at The University of Houston (1976-77). He also co-authors the Creed Rice Market Report and acts as a consultant to a variety of rice industry entities. Michael has worked with Creed Rice Co., Inc. since 1980. He has a Bachelors degree from University of Southwest Louisiana (1982). He did post graduate studies at L.S.U. in computer science (1983-84). He was selected to the Rice Leadership Development Program (1992). He is a rice broker and co-author of the Creed Rice Market Report. 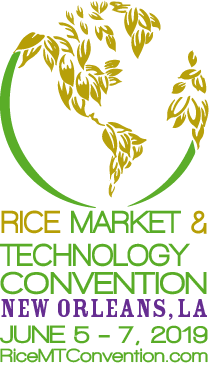 Creed Rice launched RiceOnline as a premier web portal for the most comprehensive rice market information from the worldwide rice industry. We also publish a weekly rice newsletter, THE CREED RICE MARKET REPORT. Sign up today and get the information you need to buy, sell and trade rice and rice products around the world.